Teresa Hatchel, CEO / Director of Quality, has always been regarded by those that know her as a driven, highly intelligent, and motivated go-getter. Her integrity, reliability, and capacity to master any task she takes on makes her value to this organization unmatched. As a natural born leader, her position at Med TECH LLC is a solid fit in a position overseeing many areas with shoes that would be hard to fill for many others. Teresa was pursuing her education at the University of Memphis in 2003, studying Criminology and Criminal Justice and pre-law. She passed her LSAT exam and was preparing to go to Law School while working hard to pay her bills and trying to obtain student loans and/or scholarships to assist with the hefty cost of continuing her education. Teresa would visit Jason Hatchel, the Director of Operations, at his job as a CNC Machinist on lunch breaks and after school where she met his bosses, coworkers, and learned a lot about the medical device industry. This was a new industry that she had never considered or really even heard of and it caught her attention quickly. Teresa soaked up all the information she could and began doing countless hours of research on the field of Medical Device Manufacturing. After she graduated college, she changed directions and immediately decided to continue her education in medical device quality management and accounting. Now, as Director of Quality and CEO, Teresa is still learning something new all of the time in this ever-changing, technology-driven field. Over the years, she has implemented and currently oversees an ISO 13485 certified quality management system and has complied with applicable regulatory requirements, including the FDA. Requirements are met and exceeded including Internal Auditing, Gage Calibration, Gage R&R’s, Process Validations / Qualifications, Documents and Records Control, on-going training, a Corrective and Preventive Action Improvement system, and all other areas of a robust quality system. Teresa’s ambitious drive, integrity and genuine care for those she deals with, employees and customers, are key qualities required for running a successful organization. The many hats she wears involves everything from Quality Assurance, Human Resources, Accounting, Training, and Financial Planning. Training quality inspectors to have her attention to detail, maintaining all accounting records including Accounts Payable and Receivables, handling payroll, and all other tax-related tasks are just a few of the duties that she carries out. 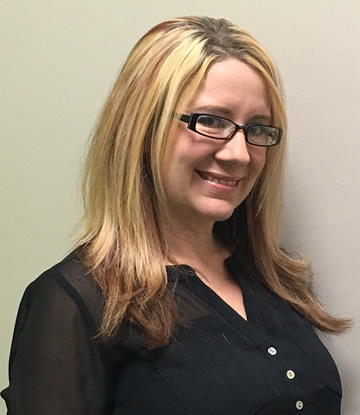 Teresa is a self-taught front-runner who has spent countless hours researching what she needs to know to make Med TECH LLC paramount in quality. She is rightfully proud of what she and the Hatchels have built together, and the team of employees that have helped them achieve this dream. Working in the medical field and manufacturing products that make a difference in the quality of people’s lives lets her make the difference in the world she wanted to make in her pre-law days.